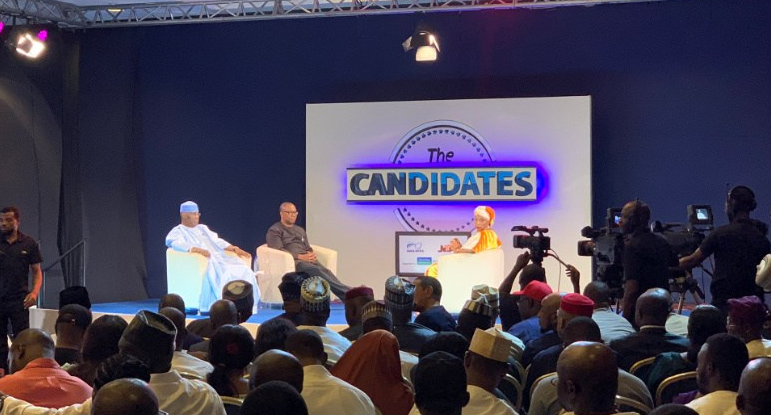 "Atiku is the second highest employer of labour in Adamawa, What impact he has made? Peter Obi (replied): In Adamawa state, there are two major employers of labour and they are the State government and Atiku. What that means is that, as a single individual, he has made a success of his life"
"Those who are in the PDP today are cleaner because they are not running from prosecution, those who have a bad record have moved on to the APC"
Peter Obi(replied): can I answer that? Peter Obi(replied) : Atiku built University? Yes, Tell me one of his mate that built same? "When you reduce Coporate tax, it creates incentives to investors that then employ more people, the people that are employed get taxed"
"If I am the most investigated public officer or politician and still not found wanting, then all the allegations are not true"